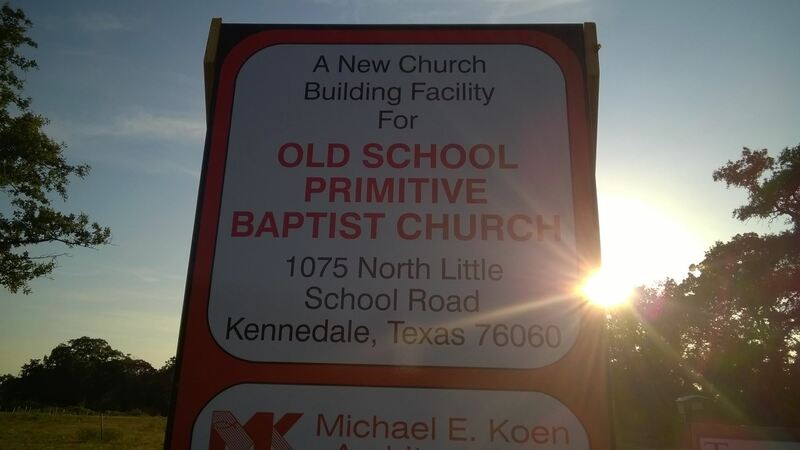 An Old-Line Primitive Baptist Church in Kennedale, Texas. News items and announcements for Old School PBC. July 27, 2015. We are happy to announce that activity by the construction company is beginning. November 20, 2016. We now have our Certificate of Occupancy from the City of Kennedale and are meeting in our new building. Old School Primitive Baptist Church is now meeting in the new building. Come and see!